Absolute Calibration was formed in March 1998, by way of a management buyout of Allied Calibration. The Company's history dates back to the late 1960's when it was set up as The Plessey Company's calibration facility. During this time it has seen many changes and now Absolute Calibration are one of the leading independent calibration providers in the UK. Based in Titchfield, Hampshire, Plessey Calibration was set up initially to calibrate test instruments for other Plessey organisations throughout the UK. This in turn led to a commercial facility offering a calibration service to many other organisations. BCS (British Calibration Service) accreditation was achieved which was subsequently replaced by NAMAS (National Measurement Accreditation Service) and now UKAS (United Kingdom Accreditation Service). Absolute Calibration holds UKAS accreditation for many of our measurement parameters including electrical, temperature and humidity. The Plessey Company decided to concentrate on core activities and sell the calibration business to the managers of the calibration company. Allied Calibration Services was formed and the operation moved to new premises in Portchester, Hampshire, in 1985. Allied Calibration were the first calibration operation to obtain BS5750 and now operate in accordance with BS EN ISO9001:2008. AQAP qualification, the quality standard operated by the Ministry of Defence was achieved. The MoD now uses ISO accreditation as their qualifying standard. Diversification into the niche calibration products of temperature and humidity was highlighted as a growth area and the acquisition of Siemens temperature calibration facility in Hampshire carried out. The facility was relocated to Portchester and new Isotech mixed medium calibration baths purchased. UKAS accreditation was later granted. To compliment temperature and humidity calibration, pressure calibration was seen as an avenue into different markets including the pharmaceutical, process control and utilities sectors. Budenberg deadweight testers along with a Beamex automatic calibration system were purchased and UKAS accreditation achieved. In 1998 the two major shareholders of Allied Calibration decided to sell the assets and goodwill of the Company to a management team who formed Absolute Calibration. Customers can obtain a login to view both work-in-progress and historic data of all instruments calibrated since 1999 on our On-Line HelpDesk. Calibration certificates can be viewed and re-calibration reports produced - all data downloadable to an excel spreadsheet. Absolute's On-Line Instrument Shop gives new and existing customers the ease of purchasing calibrated instruments from one supplier instead of buying an instrument then sending it away for approved calibration. This not only reduces delivery times but also on order costs as only one order has to be raised. Plus, of course, you will be ordering from an approved supplier. Reduced calibration costs for new instruments apply as well as discounts for existing customers. The Standards Laboratory receives large investment in improving resistance measurement uncertainties resulting in UKAS declaring it "a superb measurement capability for DC Resistance". These new resistance uncertainties place Absolute Calibration comparable with the second best calibration laboratory, to the National Physical Laboratory (NPL), in the UK. As part of Absolute Calibration's continued investment in instrumentation in new measurement areas as well as improving existing ones, the purchase of a dry block calibrator means that temperature calibration can be carried out down to -90°C. This is covered under our UKAS accreditation for temperature sensors and dry block calibrators. 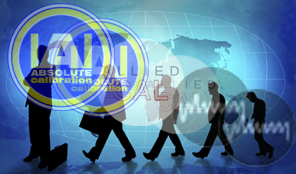 Absolute Onsite Solutions, a wholly owned subsidiary of Absolute Calibration was formed. This was in the main to manage and supply technical labour to a major pharmaceutical customer. ISO 9001 has been awarded, so Absolute Onsite solutions gives the company a platform to provide similar services to other organisations.